This year is a special year for National Servicemen as we celebrate 50 years of National Service, or NS50 for short. Throughout the year, there are plenty of events and activities organised by Singapore's defence and home affairs ministries to commemorate this special event. One of which was the Singapore Army's Army Open House 2017 (AOH). 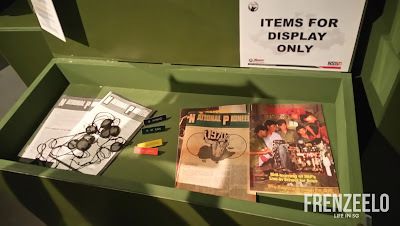 Here, we will go through with you what you might have missed at this interesting event. What is NS50 and the Army Open House 2017? NS50 celebrates 50 years of National Service. 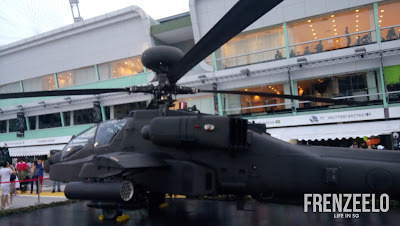 We all know that male Singaporeans and Singapore's male Permanent Residents have to go through 2 years of military service (eventually expanded to police and civil defence) when they turn 18 years old. National Service was introduced in 1967 to form a fighting force to defend Singapore after gaining independence in 1965. The Army Open House 2017, which was held in the Marina Bay's F1 Pit Building, was held in late May to showcase the inner workings of the Singapore Army to the general public. The event was then moved to the neighbourhoods of Punggol and Jurong in the next two weekends after its debut in Marina Bay. 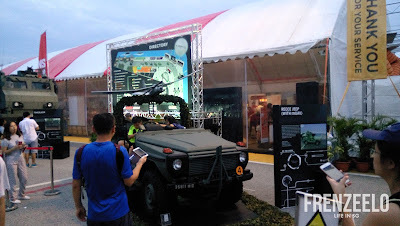 The most popular showcase was the showcase of the various types of military vehicles used by the Army. 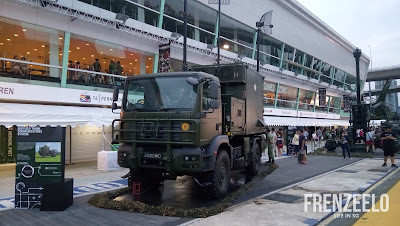 From the famous tanks driven by the Army's Armour unit to the huge military trucks driven by the Army's Transport Operators and the small Recce Jeeps driven by dual vocationalists of the Army's Recon unit, each military vehicle has its own role to play in defending Singapore. 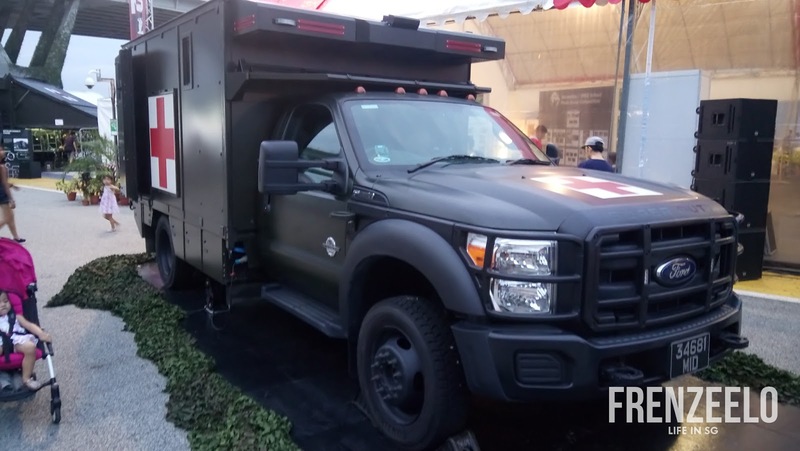 There were also lesser known vehicles like the Combat Ambulance and the Battalion Casualty Stations which are used by the Army's Medical units to provide immediate medical attention in the field and to evacuate casualties in the fastest possible time. A helicopter located right in the middle and used by the Air Force drew the most attention with its striking design and long blades. 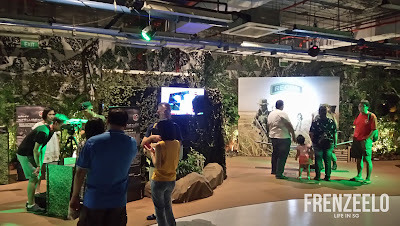 The tentage area hosted a variety of activities that visitors could try their hands on. 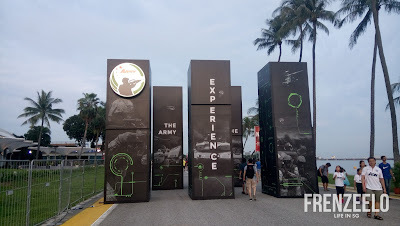 One of which was a "lite" version of a live range where visitors, who were mostly kids and students, could try their hands on shooting blank rounds with the Singapore Army's signature SAR 21 rifle. Visitors could also try food and snacks by different food vendors at this place called "Canteen Break", a term used by servicemen to take a break at the canteen in their respective army camps. 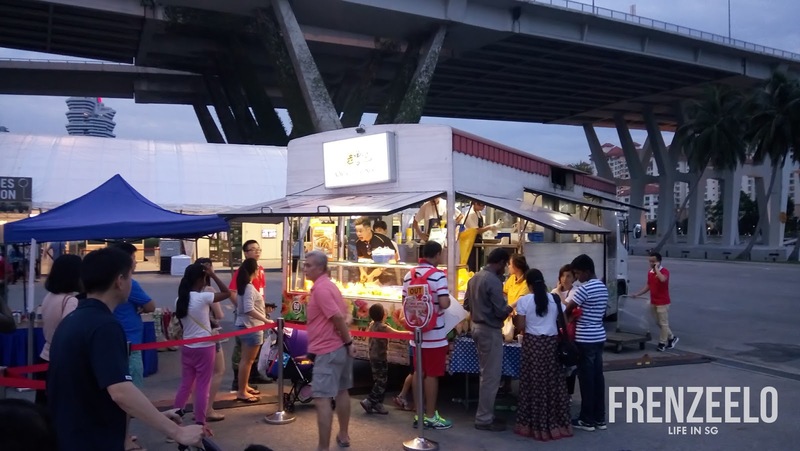 Food trucks by vendors like Old Chang Kee were also available for visitors to purchase local deep fried snacks like curry puffs along with a booth selling healthier choice ice cream. 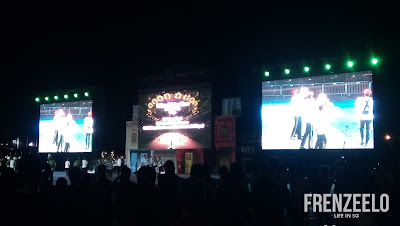 There was also a stage where radio DJs from local radio station Power 98 hosted a variety of stage games for visitors to try to play in order to win prizes. 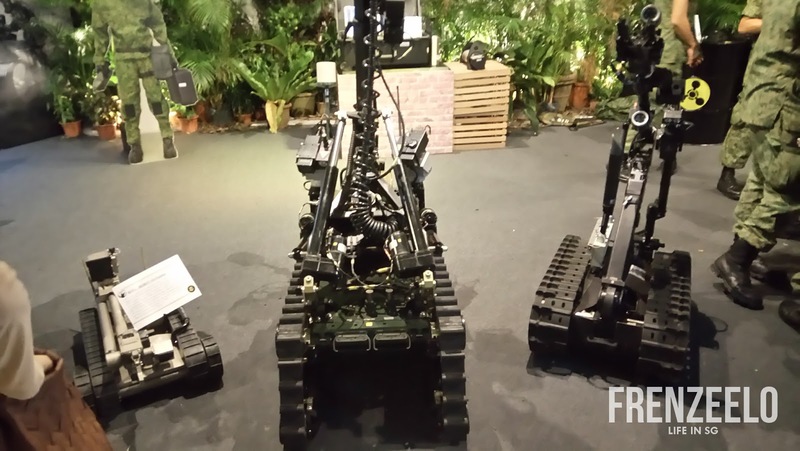 The Singapore Army has a variety of vocations that are split into three. 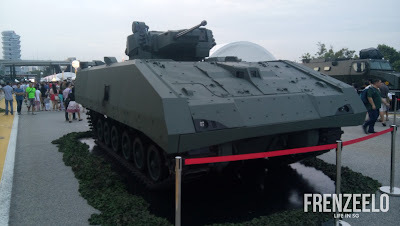 There's Tier 1 Combat units which are mostly combat units in the frontline, Tier 2 Combat units which are mostly combat units that support the frontline and lastly, the Combat Service Support units which are made of behind the scenes non-combat vocations. Each vocation booth showcased their strength and capability in defending Singapore with activities that the general public could try their hands on. 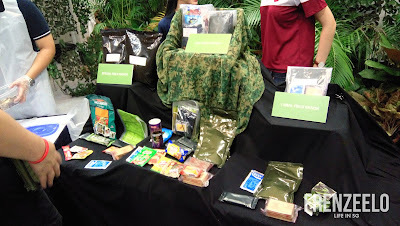 At the Supply booth, you could try dry biscuits which are a staple in the Army's combat ration packets. You could also pose with an enforcement motorbike at the Military Police booth and have a feel of some (unloaded) weapons at the Infantry booth. 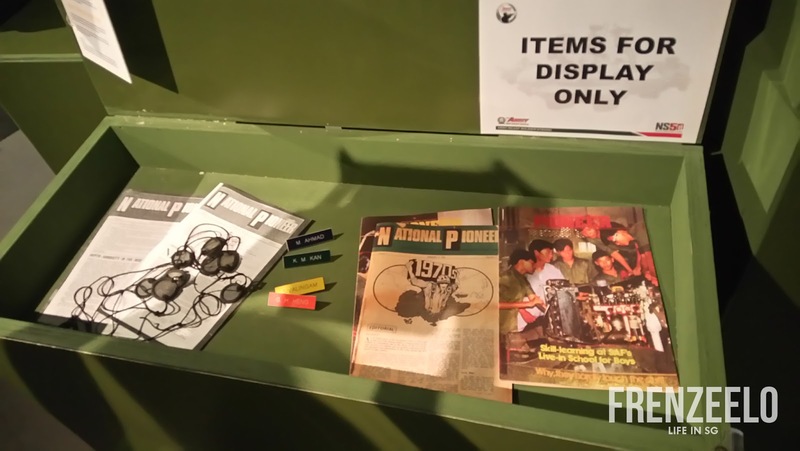 As we celebrate 50 years of National Service, visitors could take a look back at the history of National Service through an interactive mini museum called the NS50 Showcase. Visitors were treated to a short movie in a 360 degree mini theatre which showed a brief history about NS. Visitors could then roam around and view the different exhibits of NS experiences past and present National Servicemen face. 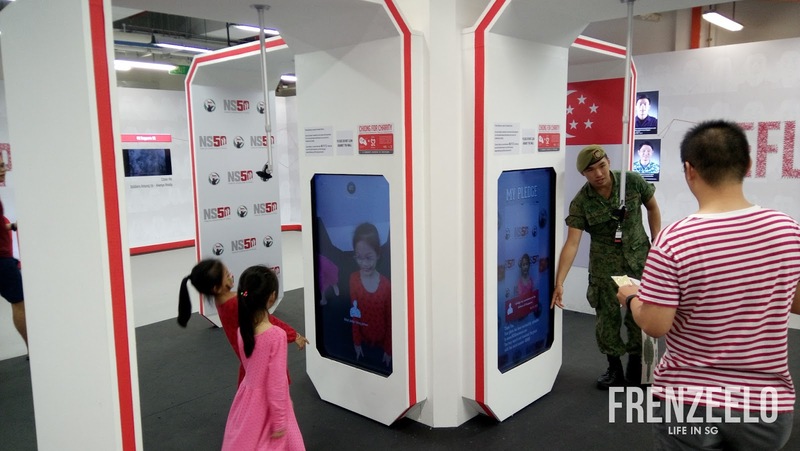 At the end of the showcase, visitors could show their appreciation for past and present servicemen by pledging their support at an interactive touchscreen booth. 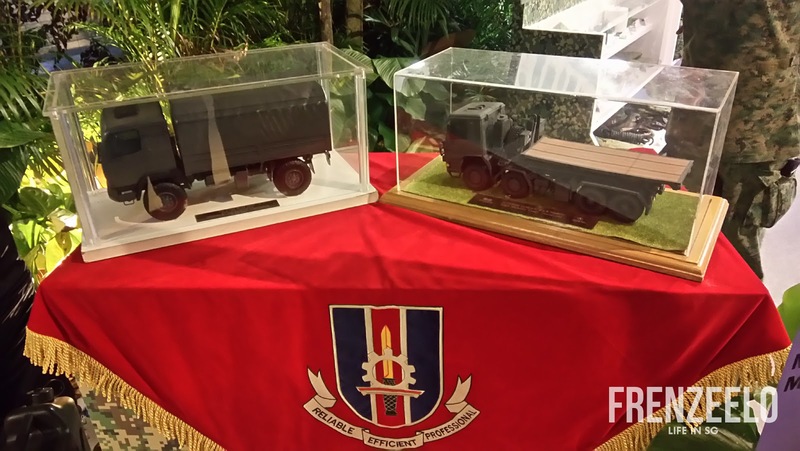 Definitely a great way to showcase our proud serving men and women. There was also a temporary stage with a seating gallery set up near the entrance for two shows, the Dynamic Defence Display or D3 which was mainly shown in the morning and afternoon and the Military Tattoo Show which was shown at the end of the day. Unfortunately, we did not catch the D3 show but we did manage to catch the Military Tattoo as we were on our way out. The Military Tattoo showcased our servicemen and regulars from the Military Police showing off their sleek moves when they performed their signature Silent Precision Drill. 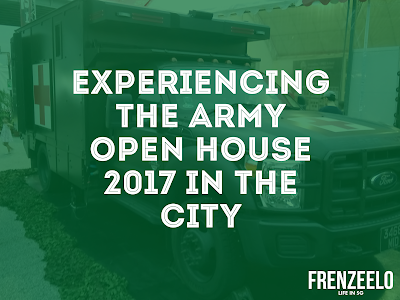 Music was provided by the good people from the Army's Music And Drama Company where they played variations of popular National Day songs. 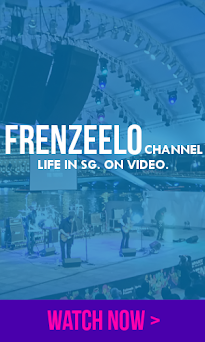 To end it all off, pyrotechnics were also used as well which made it all the more memorable. Definitely a show worth watching. 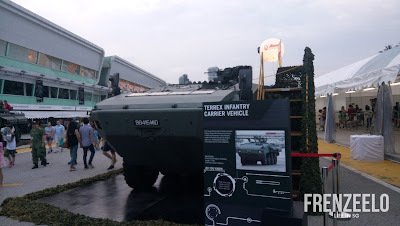 The Singapore Army's Army Open House was truly a great way to showcase members of the public about inner workings of the Army with its cool range of military vehicles, vocation booths and the two live shows. 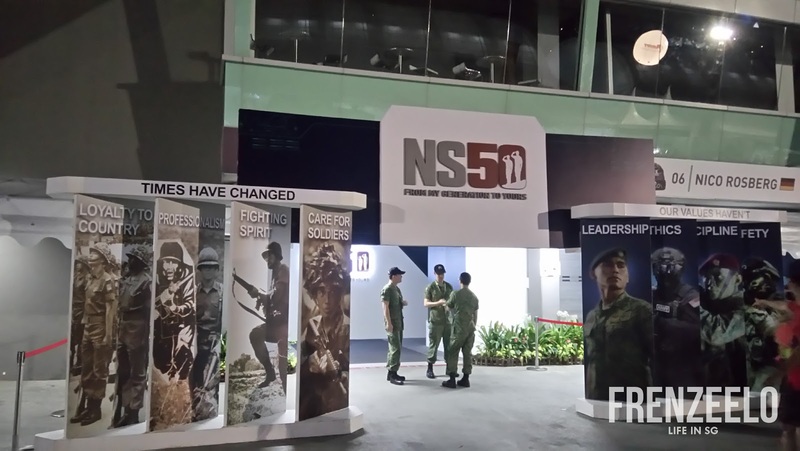 The NS50 Showcase was a great way to show our support to the hardworking servicemen who dedicated two years of their lives performing their mandatory duties. 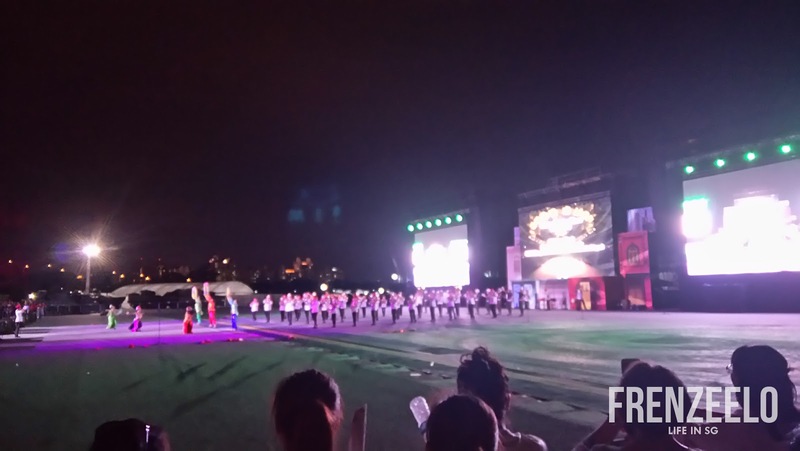 The whole event was definitely an awesome and memorable way to spend the weekend away.